Goodness, I quickly get behind on all your posts here. I love the the pictures in the vintage bird book you mentioned a few posts back. And did you know we have 5 cats? Used to have 7! I saw those dish towels too. Are you going to make a whole set? Glad you are enjoying your autumn! I sure wish I could bottle up all this rain down here and send it to you. It hasn't been good to us with the flooding. I used to like to hear the rain coming down and stay in but since the flood, when I hear the rain... I cringe! Have a blessed day and stay dry, my friend. Hahahaha -- just imagining your remote covered in glitter is making me laugh. And Dang it! 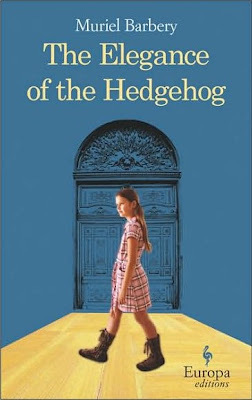 Our book group read The Elegance of the Hedgehog, but I didn't get it read that month -- I need to read that book! I love working from home. I love it so much, I haven't seen my office in 4 months! Now it's just sheer laziness to want to go to work - like physically drive there. I put it on my calendar to actually go into work in a couple of weeks. Need to catch up on the office gossip. LOL. I bought myself a skein of yarn and a couple of crochet hooks. I'm going to give that a try. I don't know if I'll succeed or not but I'll try it. Love seeing you photo of the flooded sidewalk. Wow! I heard that your area got 7 inches of rain. San Francisco got about 3 inches and lots of wind with fallen trees! How nice to stay home and work. Love all your projects. Glad you like the book! I love rain, too. And I love fall. It's just so unfortunate that Fall decided to skip us this year. sigh. We're covered in snow... but I heard there's a thaw coming this weekend. Hurray! Love your seasonal pics and the vintage postcard. You covered your t.v. remote in glitter? Hilarious! oh that does sound so nice and cosy sitting inside with the rain against your window...it would certainly tempt me though to be doing some other more crafty things...sneaky i know..i have worked for myself for many years. It does require good discipline which i sometimes strayed form only to find myself up at 3.30 doing what 'brought the money in' work..its all good though. Your dishcloth looks great. Stacy - your rain became our SNOW this morning! can you imagine! I love working from home -actually just staying home...(smile). I need to get going on my ATC cards...rec'd your ATC and card...awesome and thank you!! Love the picture of the leaves.